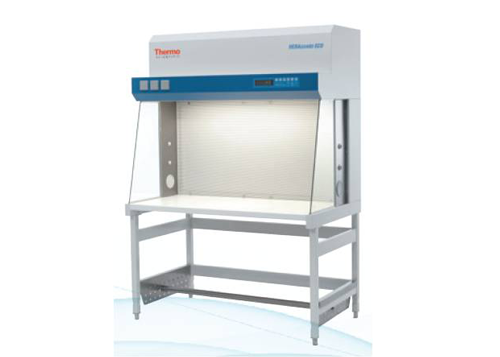 Thermo Scientific Class II Biological Safety Cabinets and Laminar Airflow Benches With Thermo Scientific biological safety cabinets, the certified performance and protection you receive on Day 1 stays with you every day. The prefilter on the intake side can be changed by hand, without the need for tools. Prefilter exchange is made economical and easy.The HEPA filter is easily removed from the front – a simple process that does not involve any disassembly or removal of equipment from the wall. This saves time during service visits. 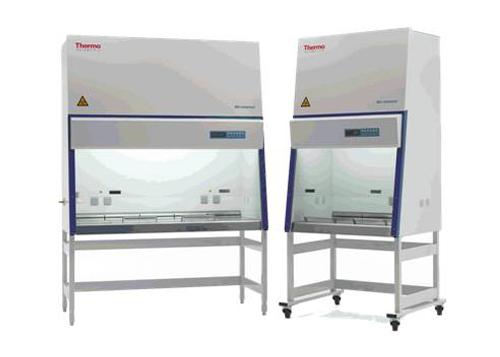 Thermo Scientific MSC-Advantage Class II biological safety cabinets provide best-in-class safety, ergonomics and energy efficiency for today’s most demanding laboratory applications. MSC-Advantage products are independently tested and certified to EN 12469 standard. – Ergonomic Design Enhances Safety : Cabinet front is sloped 10° for enhanced comfort and reduced operator fatigue. – The large control panel displays valuable safety and performance data, and is within easy view and reach from a seated position. 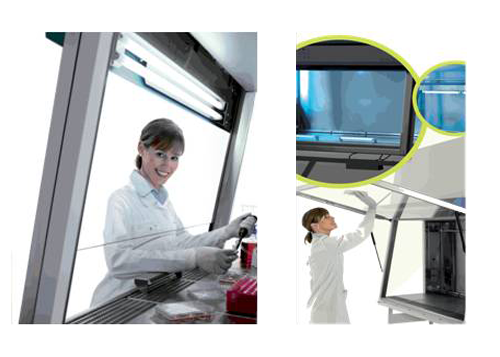 Safe and Maxisafe 2020 Class II biological safety cabinets deliver maximum safety, comfort and convenience. 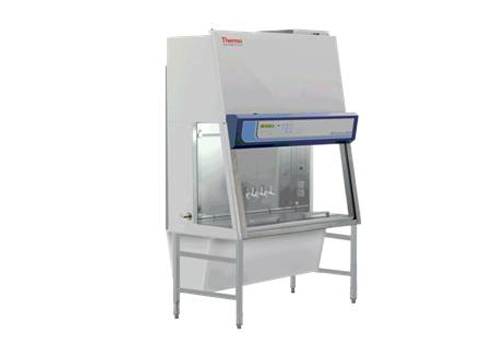 Featuring an advanced design for easy operation and maximum safety, our Safe and Maxisafe 2020 cabinets may be used wherever protection is of paramount importance in safety levels 1 to 3, including research, pharmaceutical quality control labs, pharmacies, and clinics/hospitals. 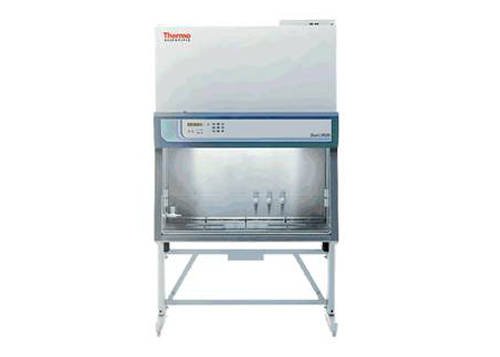 Aerosol-tight window sealing offers additional personnel and sample protection when the Safe or Maxisafe 2020 biological safety cabinet is set to stand-by mode.